Here’s the genesis of stepping into Indian Food Retail and the elements that bring forth the venture to become part of Food Plate of Indian consumer. It is apparent that changing trends in eating habits, shopping, entertainment and changing socio economic environment have brought phenomenal developments in food service industry in India. QSR is the front runner in this growth story. QSR industry has been growing exponentially in the recent years despite of some unexpected adverse factors. It’s market value in India is expected to rise to Rs 51,000 Cr by 2021. With the ever increasing opportunities and propensity for customers to indulge for every rupee they intend to spend, and are experimenting a lot, which somewhere leaves little lesser room on affinity (read Brand Loyalty), this brings in a very basic question that, what makes customers to try out and also how to engage and bring them back for repurchase. These question holds true to Food Retail as well. As one of the recent studies (ASSOCHAM-TechSci Research consulting joint study) states that India's food retail market is expected to touch USD 827 billion by 2023, up from USD 487 billion in 2017, growing at a compound annual growth rate (CAGR) of 9.23%, with recent reforms making the sector more competitive and market oriented. Further,the aforementioned report hints at the macro aspect of share of India’s food retail sector being pegged at 29.56% for North, 27.19% for South, 25.39% for West and 17.86% for East, clearly indicating the geographical choice a given brand must consider while looking at these percentages.What clearly comes out of this study is the factor that choosing a location, becomes critically important. Rather there’s a lot of support infra that makes the food retail business sustainable. Understand the law & market practices: there’s a lot to understand on the variance when it comes to establishing the business in various markets within India.Keeping a tap on all necessary documentation - right from registration,having mandatory licenses, taxation system, labour laws etc. This is important to understand as it thus becomes clearer on the scope of engaging at various steps and suitably then involve the relevant stakeholders to address the next move. Menu Selection:Menu is the core around which everythingelse revolves– right from the customers, to the suppliers, to partners, to various other stakeholders etc. Culture, Religious Beliefs and Food Habits are predominant features which one can’t miss and hence they become an essential ingredient when it comes to introducing the cuisine in the Indian market. This leaves the scope of toying the idea of experimenting with various combinations, run a series of product tasting sessions with real customers, create a pool of early adopters, have FGDs (focus group discussions), fine tune the aspects that make the taste palatable. Choosing Suppliers: Having formalized the choice of food serving, next in line is choosing the right suppliers who follow similar practices, standardization and processes that mirror the core of your chain. The supplier essentially need to confirm the laws (necessary Licenses) and must have all mandatory certifications laid by the Govt. The plant must adhere to hygiene and must keep all checks and balances to maintain safety of food from possible infestation or decay. Review Backward Integration:After addressing the menu and the suppliers, you have to review the ingredients that go into making the serving/ meal and seek the necessary understanding on the quality, cost of procurement, minimum guarantees, negotiations from farm to supplier, procurement from farm is also one critical element that is essential to see year-long supply of farm produce. Other ingredients also need close watch on the process that needs to be stitched for milk related, non-veg related food safety protocols. This becomes critical as in food business, there are no exceptions on food going bad. Cold Chain:It’s pivotal to have strong logistics in place, earmarked, real-time track-able to know where the supplies are and when is replenishment arriving. Besides that the maintenance of the supplies at optimum temperature is important to have that safe in transit and once it arrives at the destination, the supplies need to be kept at the right temperatures. Location: (Converging Footfalls vs Creating/Generating Footfalls) - When it comes to establishing a restaurant, it’s critical to have a location that promises the proposed potential now and in near future. One thing that needs to be kept on mind that the influx of footfalls(read Customers) is largely dependent upon the traffic that is crossing that location dovetailed with ease of access. Choosing a location is yet another element that needs a strategic approach, which in turn plays a role of a catalyst in accelerating the speed of ‘rate of return on investment’. This rate, shall hence vary in proportionsand one needs to do a strong research and background check. Maintaining Standardization: The protocol on handling each action point needs to be detailed out both internally and for external engagements. The documentation of these protocols makes it essential that if there’s any doubt, one can access and follow the framed protocols. Further, there is also a need to have Standard Operating Procedures laid out which are sacrosanct and become the basis of Quality of Servicethat the brand promises. Remember, the customers have their own yardstick to evaluate their experience and hence, standardization shall help the teams across multiple outlets to deliver same quality of both service and food at every engagement. Meticulous Hiring &Training holds the Key:In food retail as of today there are estimated over 900 million human transactions happening every day, which means ‘900 million moments of truth’. To maintain similar experience each time, there is a consistent need to train each of the resources to bring parity on skills and ensure the same is maintained while disposing of one’s duty. Regular checks on the floor are important that captures any deviations and same needs to be shared and addressed by being reiteratedwith concerned team members. Choosing the right Positioning–how your food retail chain wants to be perceived as? Promotion- Choosing suitable platforms to make the essential visibility for the brand, its products, services etc. Innovation – Adopting blue ocean strategy will keep the competition away for some time, and that could be kept on evolution which always remain as something more to offer, while improving on existing product offering. I.T – The technologies driving QSRs are more evolutionary than revolutionary and all serve to improve the customer experience while increasing operational efficiencies. Voice ordering through multiple channels, Artificial intelligence, Mobile payments, personalization of reward points and Kiosks will definitely have capabilities of great impact. Having a right infrastructure at right cost in place to handle increasing bandwidth of web, aggregators, social media, data management needs are important to serve customer demands of Speed, Convenience and Value. Introducing mystery shopper – the set of people who are well versed with your SoPs and protocols, they reach out to store and evaluate the store employees’ engagement at lean/rush hours, create a situation and observe how they handle the situation. They are a very interesting live review mechanism that help fine tune gaps that otherwise are left unplugged. Research – this is one element that supersedes almost every aspect mentioned above. Primary, secondary, tertiary research coupled with lots of data mining on quantitative and qualitative research shall help in looking many aspects to zero in on possible options one can take forward. Thorough framework around research allows the team to take well informed decisions and help eliminate doubts that usually hold back. Omni-presence – while store is a physical meeting point, the scope of looking at delivery, e-tailing and app based activities and being present at high footfall events further helps in building the scope for the restaurant’s acceptance in customer’s mind. The aspect that one needs to ensure that the service & quality are not compromised and if the conditions challenge any of these two, it’s judicious to keep distance. Samir (SAM) Chopra with a career spanning more than 30 years has numerous successful entrepreneurial assignments under his belt. India. In 2009, Sam has bought the Master Franchise for RE/MAX in India. RE/MAX is an international brokerage company which has the expertise of successfully operating in 99+ countries across the globe. 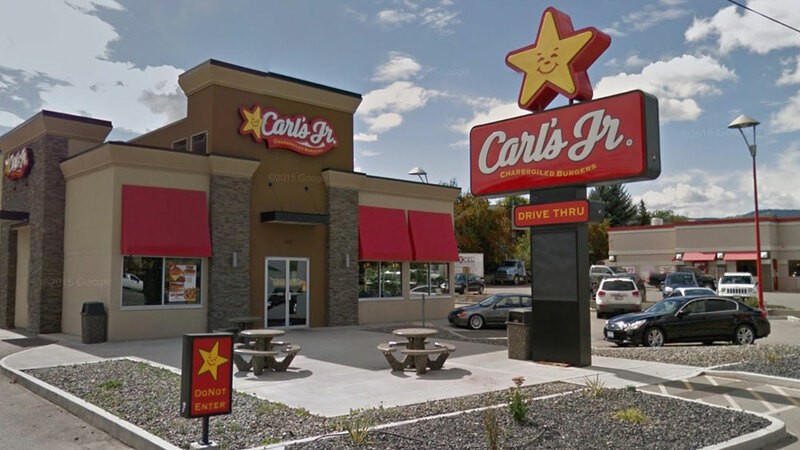 As CybizCorp entered the Food and Beverage Domain, Sam has played a vital role in helping CybizCorp acquire the Master Franchise for California based burger chain Carl's Jr. under CKE Restaurants Holdings, Inc. that has a total of 3,522 franchised and company-operated restaurants in 30+ countries. Trends to look out in 2019..
What works in a Restaurant Business..
How to Crack the Supply Chain Code..
Education Business’ New Haven is Bangalore..
3 Points to Make Your Beauty Biz Successful..
Digital Influence in Beauty and Cosmetic Business..
Top 3 Small Education Business Ideas.. Serving Desserts at a Nominal Price.. Think Probiotic Yoghurt this World Health Day..
Mastering the Art of 'Indian' Cuisine..